The most frustrating error many authors make these days is to write their project and then publish it without writing an important section: table of contents. Note that this is an important section of a written project, so you must do the best that you possibly can to make sure that your writings have the right table of contents. 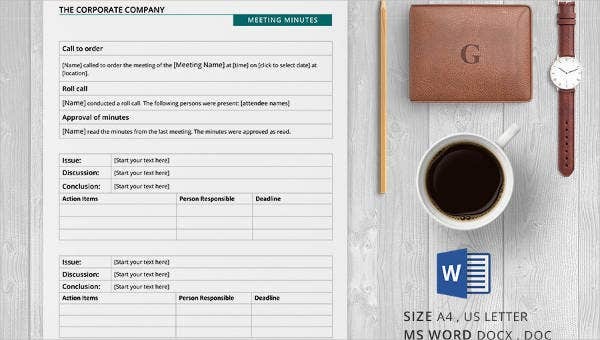 If you do not have the time to create one, you can use the following sample Word templates. 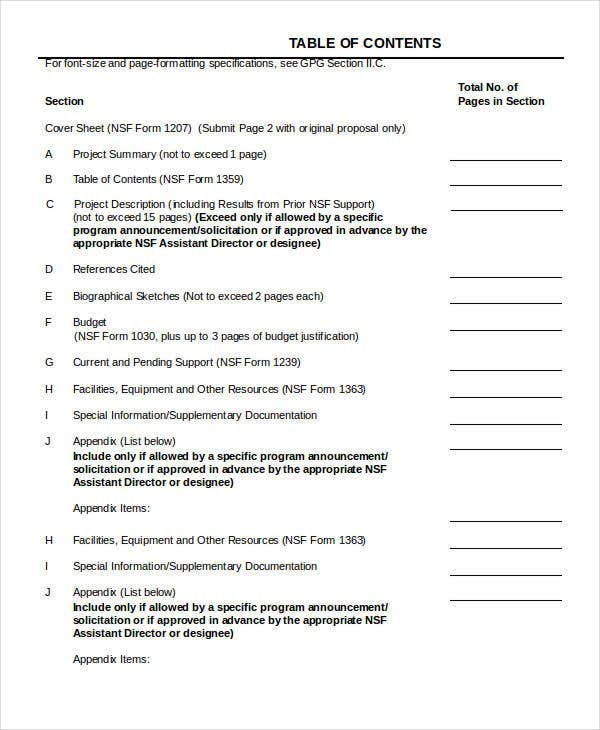 Table of contents template is the single most valuable document for those who don’t have enough time to write this section of the project. And most importantly, the file is easy to edit. 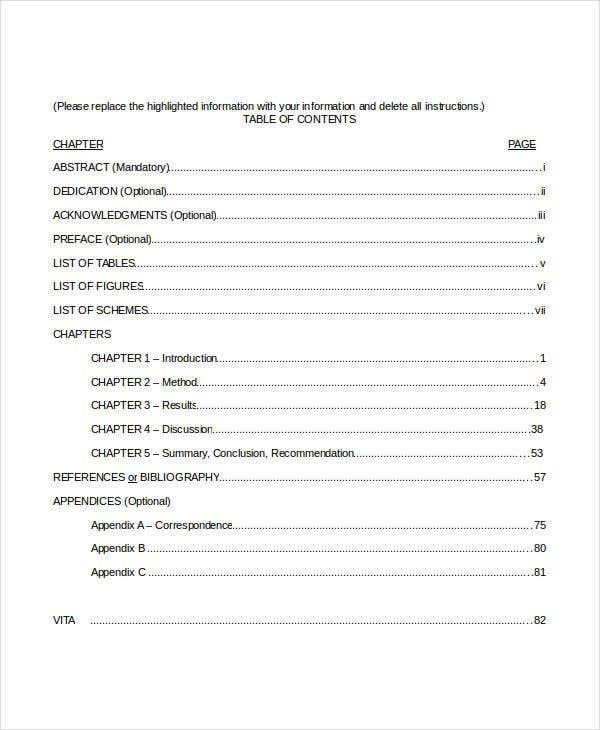 If you are having a hard time creating the table of contents from scratch, consider using the above sample table of contents template to make your work easier. The file is available for free download. 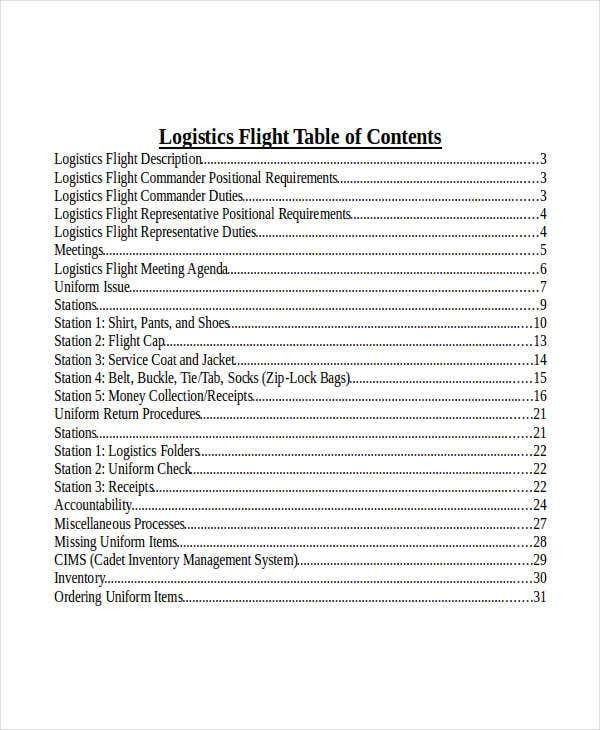 > Why is a Table of Contents in Word Necessary? To answer this question, let’s take a classroom scenario as an example. Tell a student to search their math book for a topic on trigonometry. What’s the first thing they do? They do know that their math book has the subject on trigonometry. But they do not know the page number to find the topic. 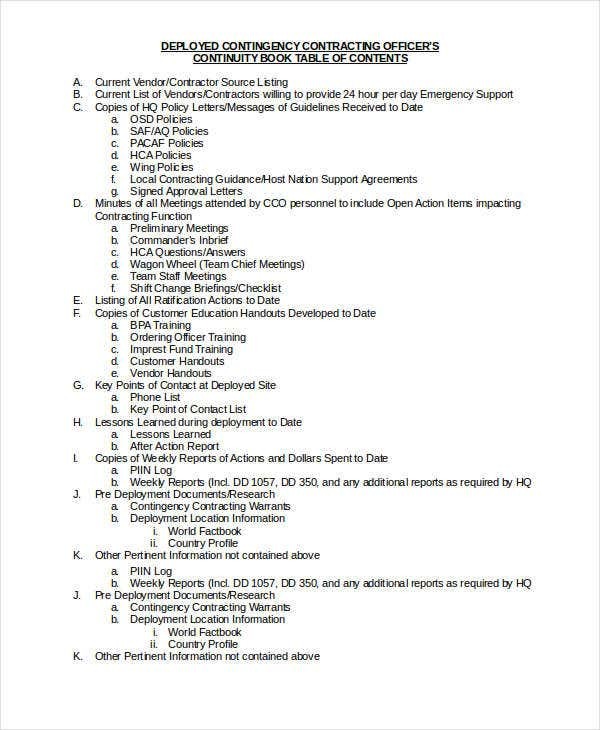 What they will do is check the table of contents. If the table of contents is missing, they will lose a sense of direction, and that will be it. 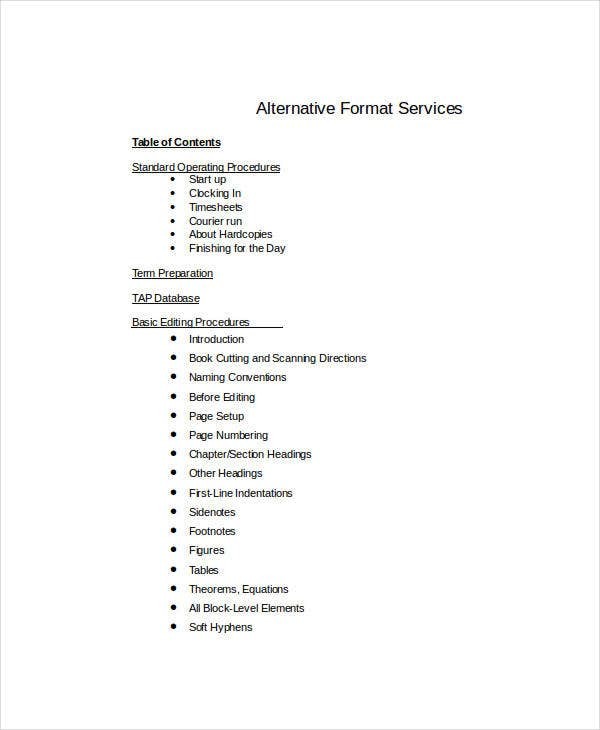 Without a table of contents, the document would be difficult to read, which is why these templates are necessary. 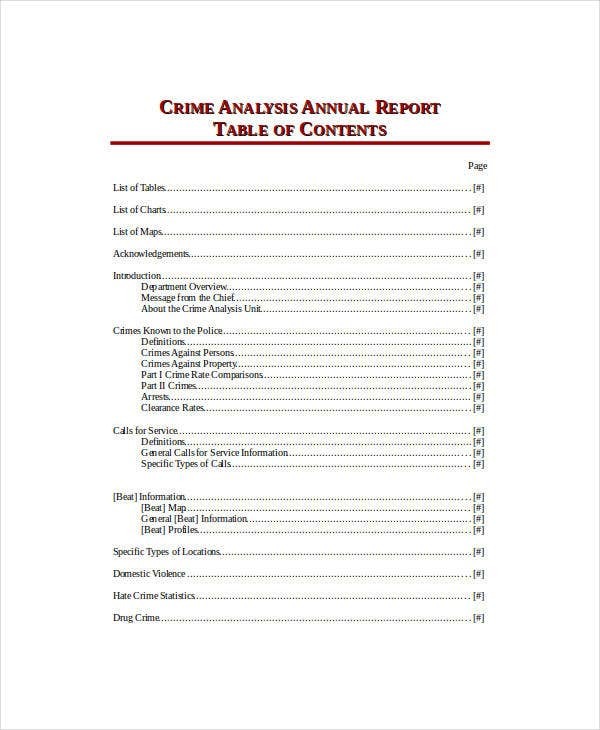 Download this table of contents for free. Include it in your project as a guide that you will use to direct your readers to read more of your work and navigate your project with ease. 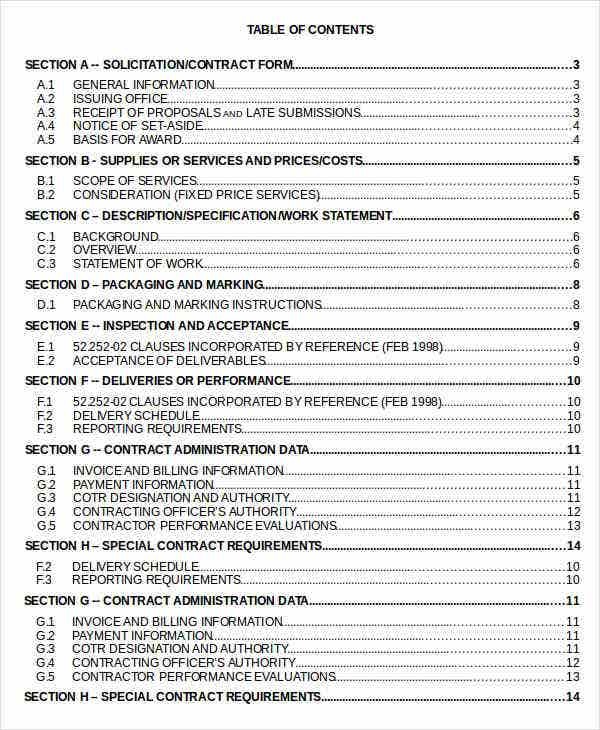 If you have a few minutes for the table of contents, you may not do much. 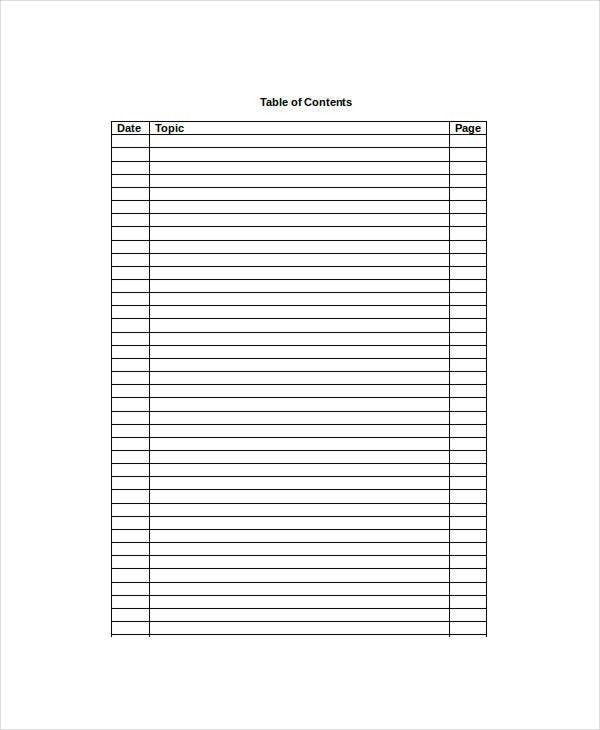 As such, it is best to download and use the following sample forms to make your work easier. The sample file is free to download. > Who should use the Table of Contents? 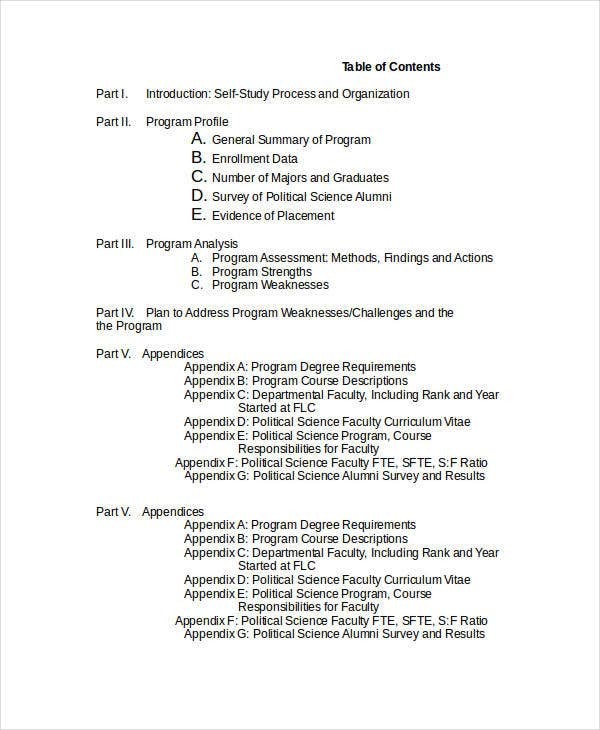 If you are a student working on a final year thesis at the university, you should use the table of contents. The reason for this is you want to try the best you can to make your project easy to review. If you are an eBook writer, make sure your work has an outline. This will help your reader to understand what each chapter of your book addresses. 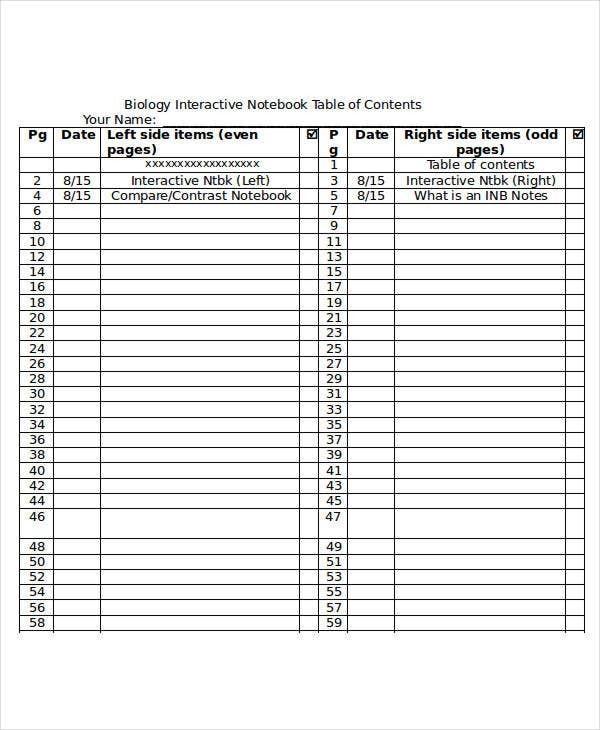 If you are a teacher, make sure you provide your students with a table of contents for the lesson outline. There are many uses of the table of contents templates. So, these are just examples. While a table of contents isn’t something a user will look at on the go, it will definitely help them navigate and find the contents of your book. So, even if yours is just a 10-page project or less than that, you need to make sure you provide the right table of contents so that you can easily engage your reader.